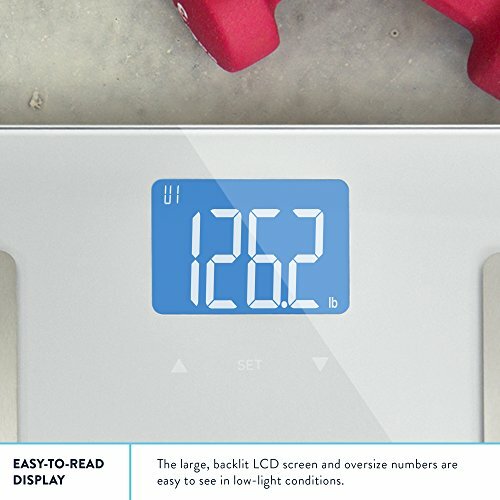 ACCURATE: Within .2 lbs. MEASURES: weight, BMI, body fat, muscle mass, hydration, bone density. 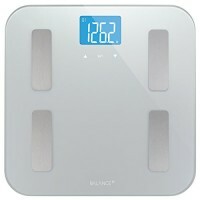 TRUSTWORTHY: This top-selling body composition scale gives you detailed, accurate results without complicated set-up. 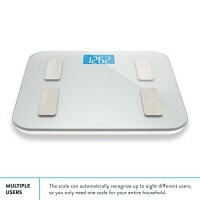 Just step on to measure BMI and other important health indicators, in addition to your overall weight. 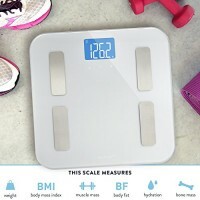 Measuring weight alone doesn’t give you all the information you need to meet your fitness goals-these key health metrics can provide important insights into how your body is changing as you add muscle mass, lose body fat, and more. GET THE FULL PICTURE: Measure weight, BMI, body fat, muscle (lean) mass, hydration, and bone density. Track the factors contributing to your fitness as you make progress towards your health goals. 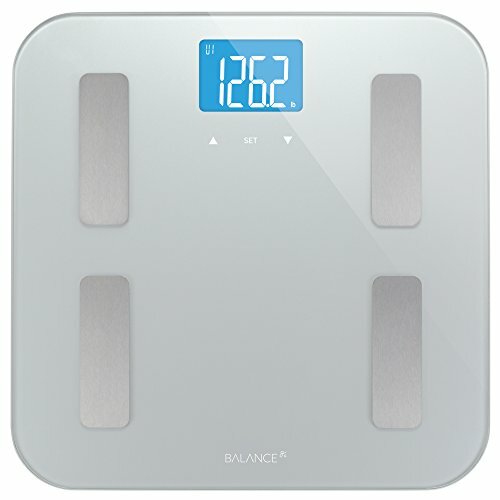 PRODUCT DETAILS: Our scale uses a technique called BIA analysis to provide a consistent way to monitor your BMI, body fat, lean mass, water weight, and bone mass over time. Extra-large, backlit LCD screen. 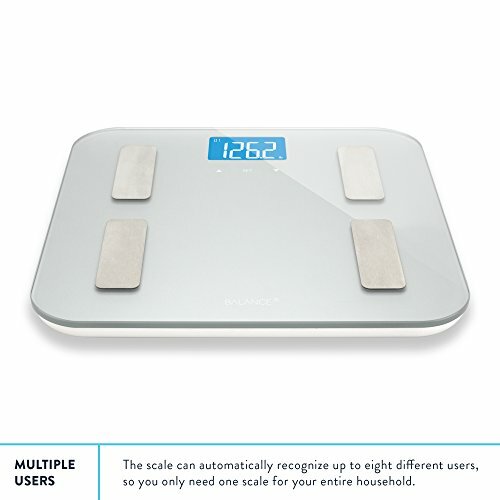 Scale calibrates itself automatically in between uses-just step on to weigh yourself. Auto user detect supports up to 8 users. Non-slip, scratch-resistant feet. 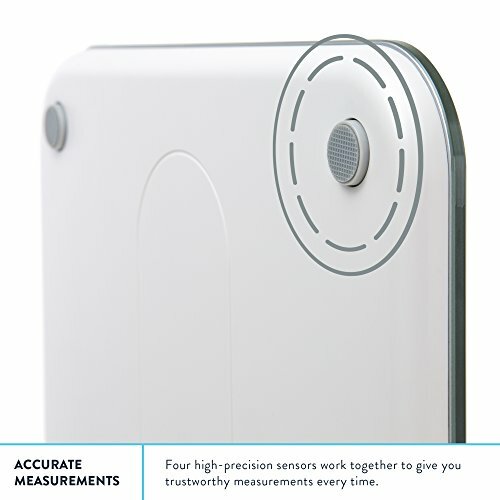 4 high-precision weighing sensors allow a resolution of +/- 0.2 lb. 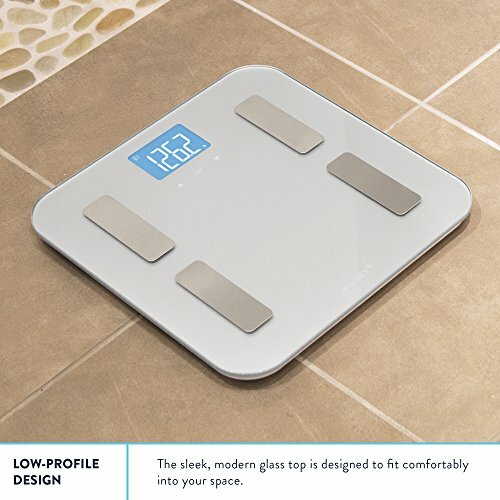 Durable tempered glass weighing platform supports up to 400 lbs. 4 AAA batteries included. GREATER SERVICE: We want you to have a great experience with our products. Like everything we make at Greater Goods, our scale is backed by a 100% satisfaction guarantee. A 5-year warranty covers damage and defects, and our team of product specialists here in St. Louis, Missouri are ready to respond to any questions or concerns you have. GREATER PURPOSE: We set aside a portion of all Greater Goods purchases to give back to our charity partners. Balance was built in collaboration with Love146, an organization that is working to end child trafficking by raising awareness and caring for survivors. 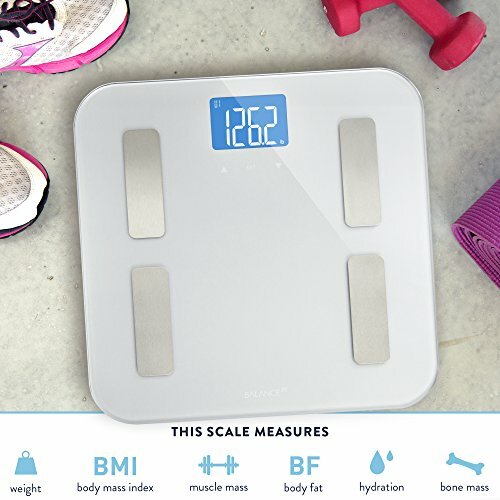 When you purchase a scale from Greater Goods, you can be confident that you are caring for your own health and the health of children in need.